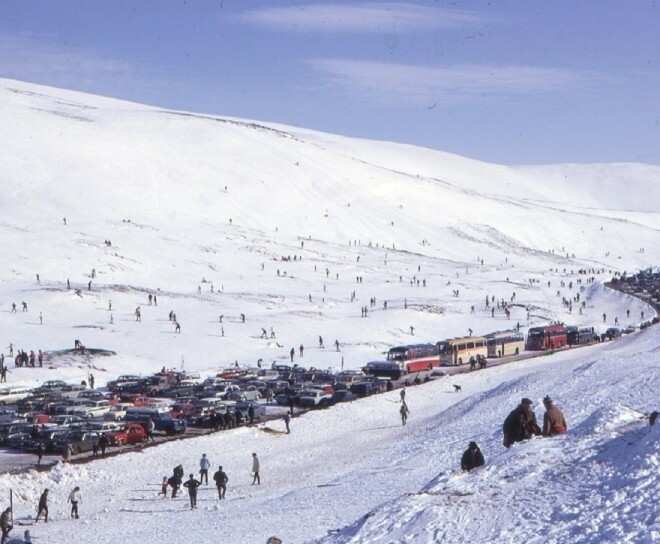 Though the Glenshee Ski slopes are not officially in the Mount Blair area (they are just in Aberdeenshire), the name says it all! 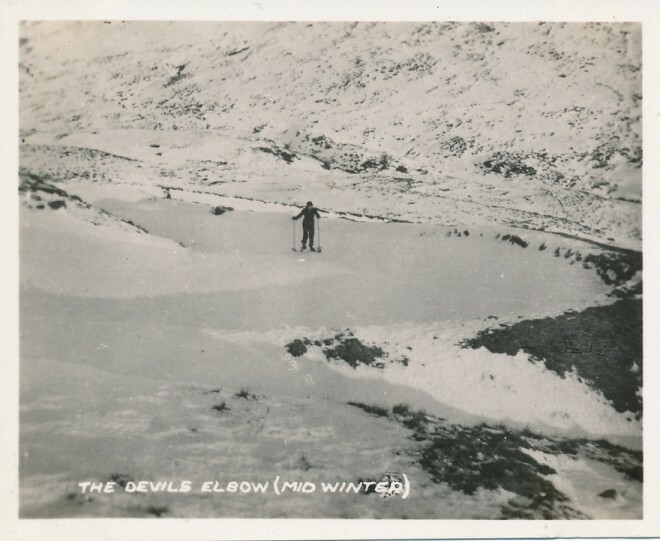 Skiing first started in the area on Ben Gulabin using portable tows. 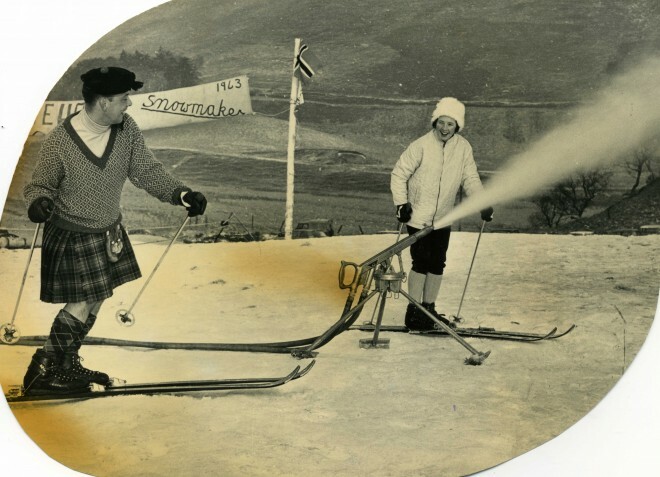 Dundee Ski club or Chairlift Company do you have any more pictures? Or anyone else? 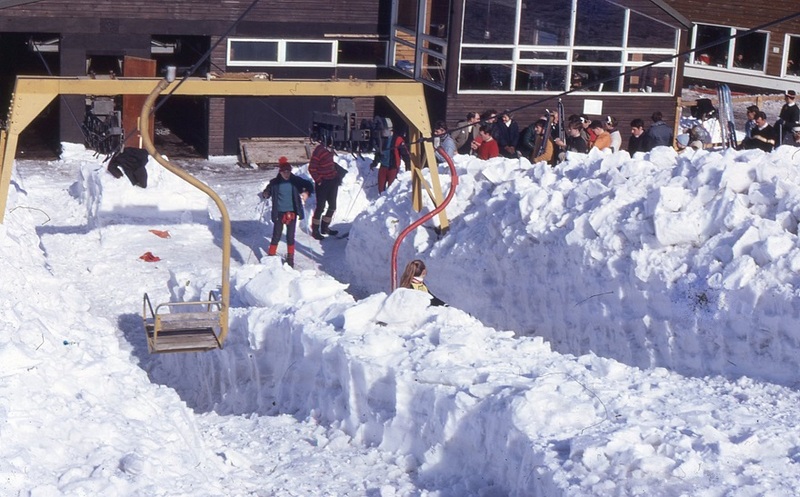 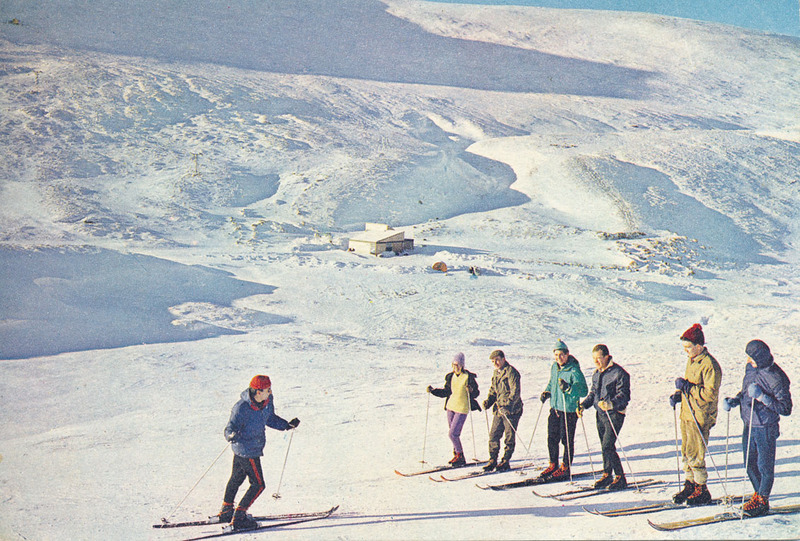 Early pictures of skiing in Glenshee, particularly around Ben Gulabin would be great. Also see “The Written Word” section – “brochures and prices” for more information, as well as clicking here for an old promotional video of skiing in Glenshee. 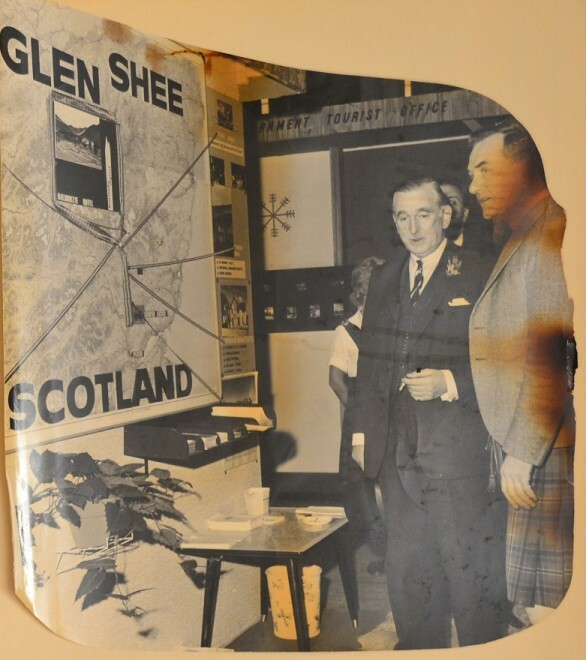 This page was added by Sally Gingell on 11/11/2015.